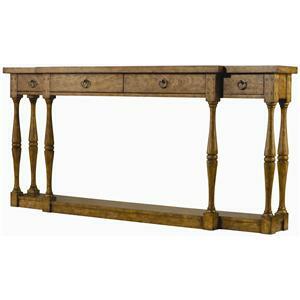 This console table exudes regal and elegant style. 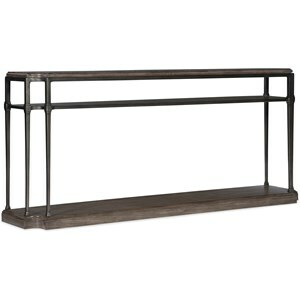 Placed in an entryway this piece allows your home to put its best foot forward when. The Two-tone finish brings classic style to this console, and provides a space to highlight accent pieces to set the stylistic tone for your home. 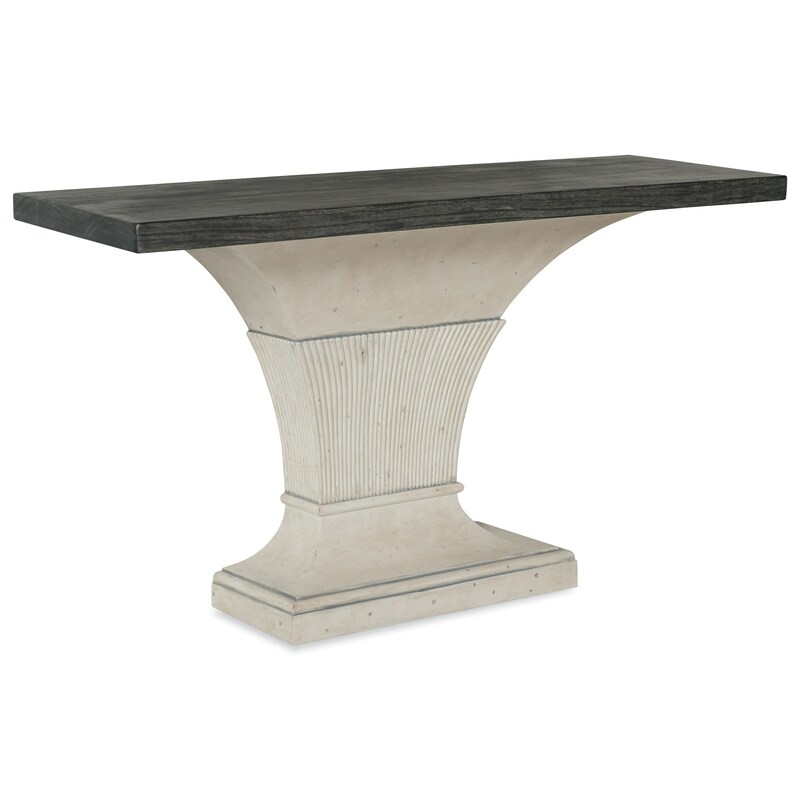 The Veranda Corbel Console Table by Belfort Signature at Belfort Furniture in the Washington DC, Northern Virginia, Maryland and Fairfax VA area. Product availability may vary. Contact us for the most current availability on this product. Case Construction Framed wooden dust-proofing panels between the drawers for protection of the drawers' contents and additional strength. Finished wooden back panels are secured with screws, for a refined look to the back of the piece and additional strength. All carvings are hand carved on solid wood with no use of poly or molded components or parts which adds to the integrity of the item and the natural beauty of wood. Crafted for those who crave grace and elegance in everyday life, this collection's traditional style is ready to welcome you home. Every piece in this collection has been designed to bring that extra dash of luxury you have been missing. The quality construction of these pieces and the attention to detail throughout the collection come together to provide you with an exquisite interior you will be showing off for years to come. The Veranda collection is a great option if you are looking for Traditional furniture in the Washington DC, Northern Virginia, Maryland and Fairfax VA area.